A REPORT HAS identified a number of shortcomings from the corporate watchdog that led to the collapse of the trial of former Anglo Irish Bank chairman Seán FitzPatrick. In May last year, Judge John Aylmer ended the longest-running criminal trial in the history of the State when he acquitted Sean FitzPatrick of all charges after the Office of the Director of Corporate Enforcement was accused of coaching two audit partners from Ernst & Young – witnesses central to the prosecution. It “fully accepted” the criticism. The government had requested that Judge Aylmer examine the shortcomings that were made, and an account of those findings has been published today on the Department of Business and Enterprise website. Although the judge’s exact findings were not published today in order to preserve the integrity of ongoing trials, according to the Department, a summary or “account” was made public to acknowledge the shortcomings that were made and how best to avoid them in future trials. The investigation found that the most “significant shortcoming” made during the ODCE’s investigation was the way in which witness statements were taken. These were partly due to the size of the team investigating a case with the “scale, novelty and complexity” of the Anglo case. There were two accountants, three legal advisors, three solicitors and eight members of An Garda Síochána at the start of the investigation. It is clear, from subsequent staffing reviews and from the Judge’s findings, that the office was not equipped to undertake multiple, complex investigations in parallel. Of note was a significant deficit in the specific areas of in-house forensic accountancy expertise and in-house IT forensic expertise, which would have been essential to an investigation of this complexity, given the extent to which information is presented and stored digitally. The report said that taking evidence in a criminal trial is “painstaking and highly complex” and because those involved in the statement taking process “lacked specific expertise” this resulted in the judicial finding of coaching. It also said that shortcomings were made in shredding documents. The report noted that although “standards slipped” in this trial, that no other such issues had arisen in any other trial due to the ODCE’s investigations. Email “Watchdog staff 'lacked expertise' to interview witnesses in 'complex' Seán FitzPatrick trial”. 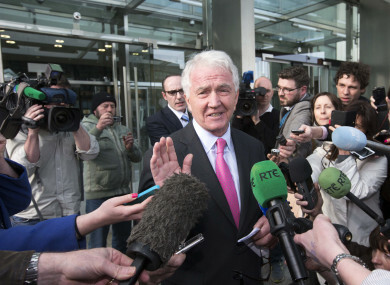 Feedback on “Watchdog staff 'lacked expertise' to interview witnesses in 'complex' Seán FitzPatrick trial”.